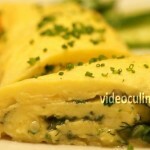 A rolled French omelette is a quick, creamy and moist egg dish. 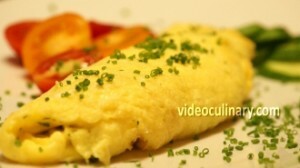 It starts out like scrambled eggs, but when the eggs start to set, the omelet is rolled over. 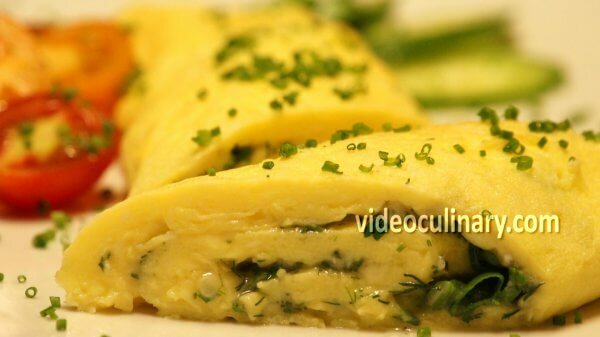 It is better to make a rolled omelet in a small non-stick pan. 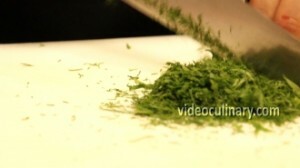 Chop a few sprigs of fresh herbs. 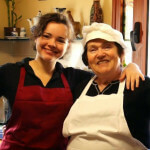 Use parsley, dill, chervil, tarragon or any other herbs you may have. Wash and thinly slice a scallion. Break 3 eggs into a bowl. Add 1/3 teaspoon of salt. 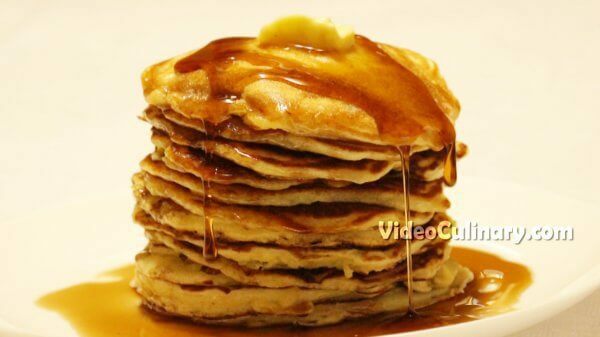 Use a whisk to blend the eggs into a smooth mixture. Heat a pan over high heat. Add 20 grams of butter or oil. 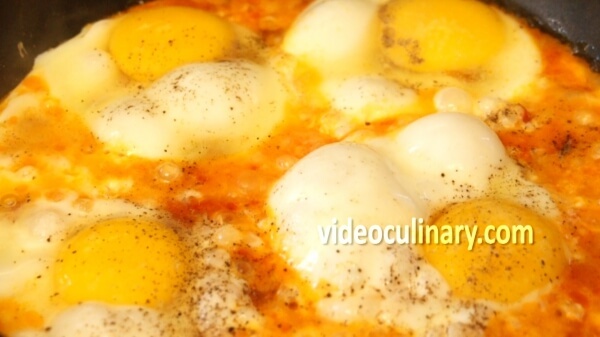 When hot, add the eggs into the pan. Use one hand to swirl the pan over the heat, and use the other hand to mix the eggs using a rubber spatula. 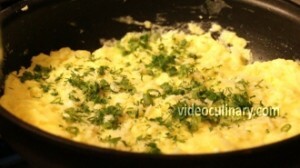 When the eggs are beginning to set, stop mixing and spread the omelet in the pan evenly. Garnish with the chopped fresh herbs and with about 20 grams of grated parmesan cheese. 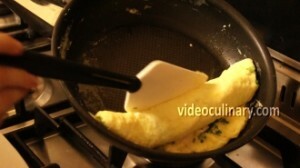 Roll the omelet using the rubber spatula and then roll it onto the plate. Serve with fresh vegetables and homemade bread, like brioche, ciabatta or Middle Eastern pita.